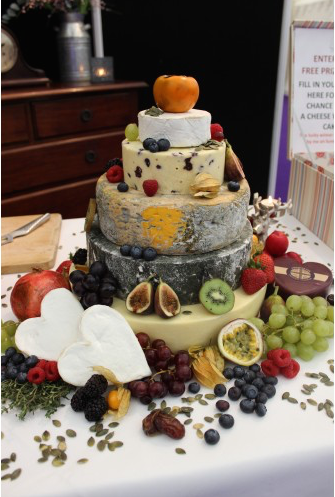 Our biggest selling Wedding Cheese Cake, this truly has something for everyone! 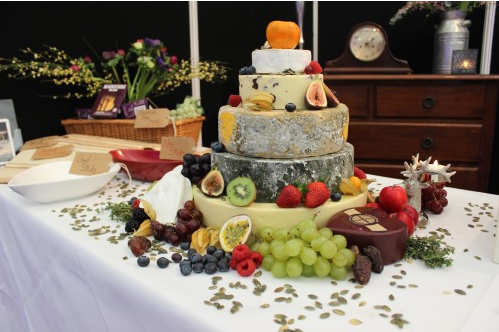 You can book and reserve your wedding cake with a £25 deposit by selecting Bank Transfer on checkout. The remaining balance will be due 2 weeks prior to the wedding date. 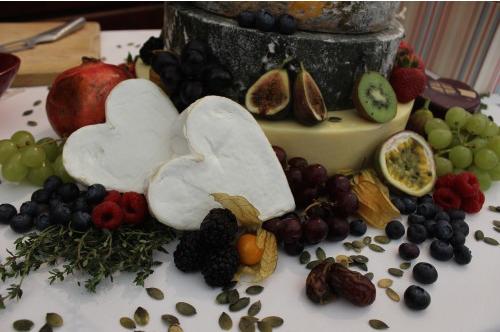 To the side – 2 Heart-Shaped Bries (Neufchatel) – again, not vegetarian – and one Godminster Vintage Cheddar Heart. The finishing touch! As always, the price includes delivery to anywhere in the mainland UK and all decorations! 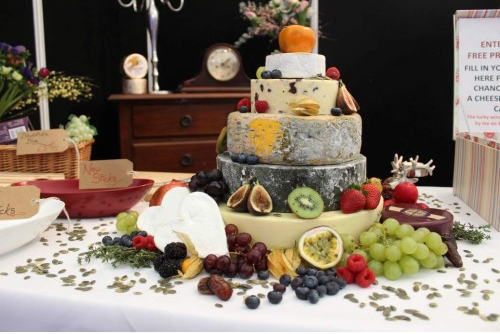 With regards the decorations, I usually go with a mix of whatever is in season, some fruit to enjoy with the cheese and some simply because it looks good! 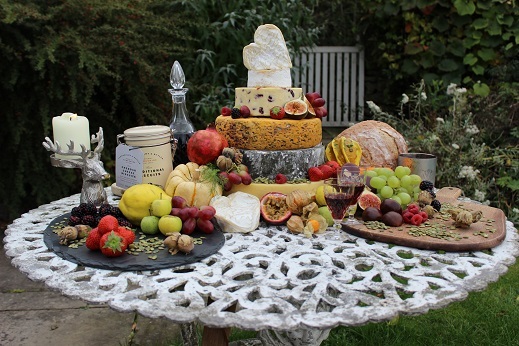 This selection will typically contain red & green grapes, figs, physallis, strawberries, blueberries, raspberries, sharon fruit, lychees and lemon thyme sprigs for decorating together with a packet of pumpkin seeds for drizzling round the base of the cake.